Federal eagle, Mint Museum, Charlotte, NC. 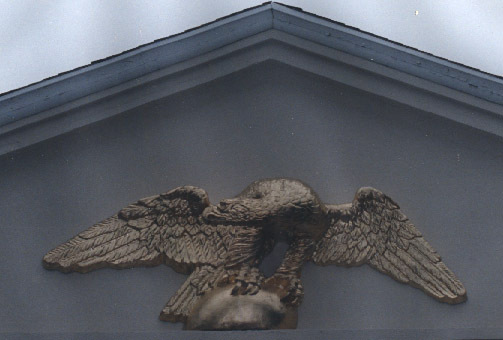 Twelve foot wing span, molded in one piece and 14k gold leafed. Copyright © 2013 Custom Fiberglass International. All rights reserved.